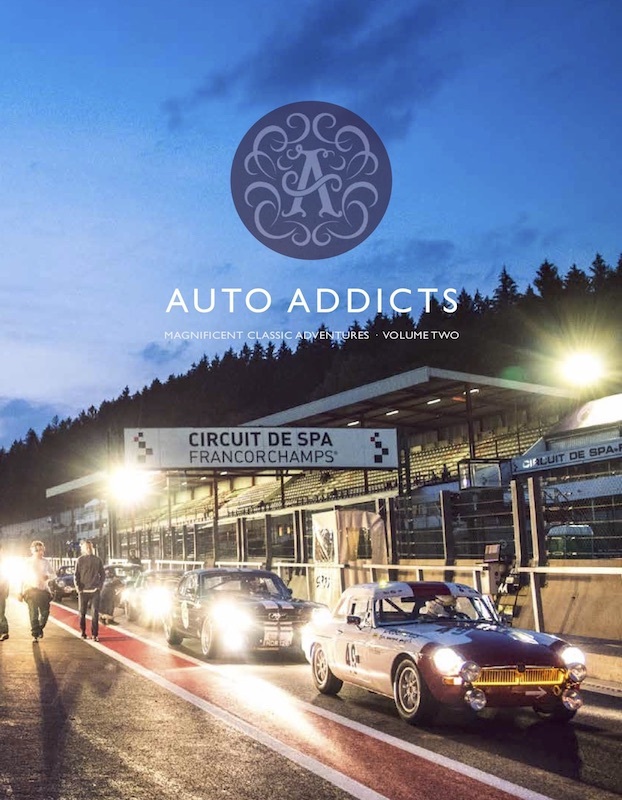 Auto Addicts friend, writer and fellow scribe Johnny Tipler launched his latest book : Black and Gold – The Story of the John Player Specials’ at the Classic Team Lotus, in Hethel, Norfolk last month. 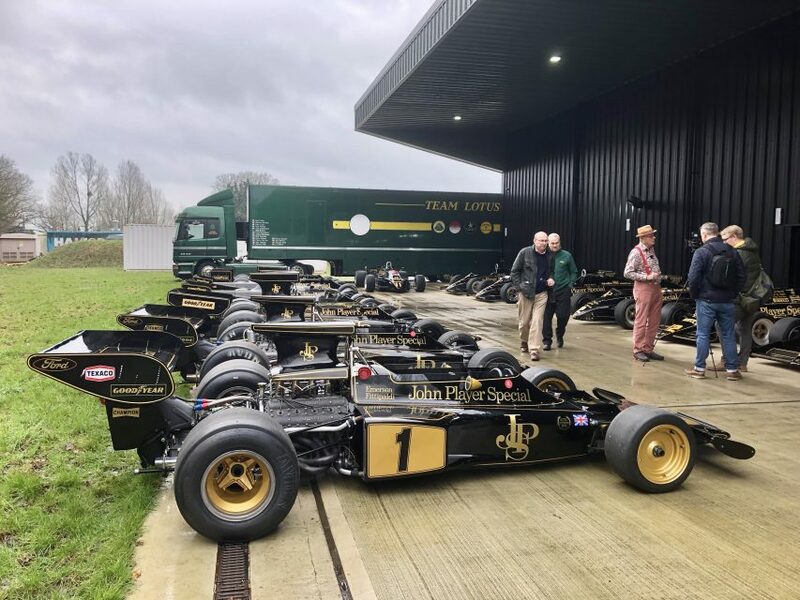 Classic Team Lotus pulled out all the stops to gather as many cars in the famous Black and Gold livery as possible from 70s’ through to 85′. Accompanied by many of the original mechanics and team members through the decades. 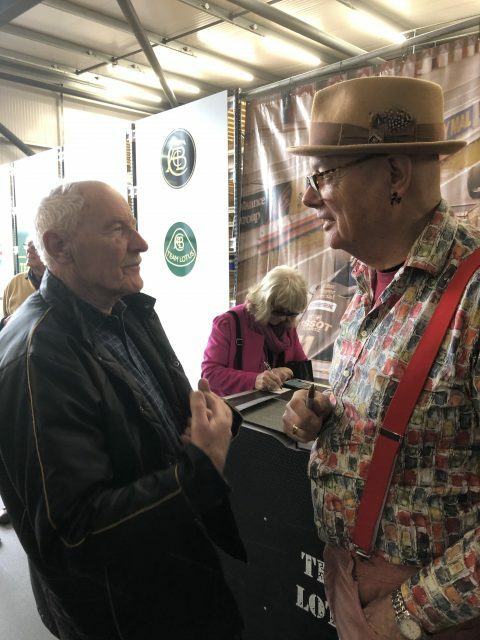 Johnny’s latest book Back and Gold is the result of his wealth of knowledge thanks to an early posting working for the Stanbury Foley Organisation, a motor racing promotions hothouse based in East London. Its major client was John Player & Son, and the livery of the Lotus 72 in its JPS guise was designed largely by SFO partner Barry Foley. 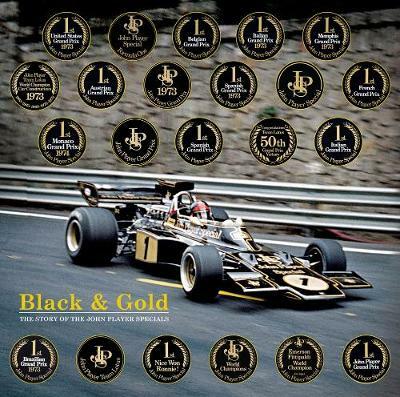 In 1972 the black-and-gold livery also extended to the Team Lotus transporters and JPS hospitality vehicles. The black & gold brand is still recognised and passionately remembered, the world over. In the late 1960s commercialism in motor racing was increasing. 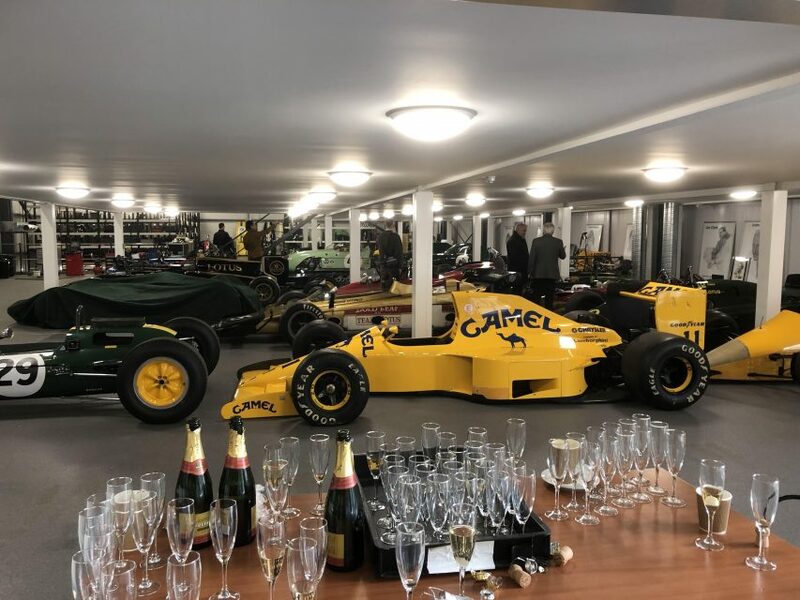 Major sponsors appeared on the F1 scene including tobacco giants Marlboro and Yardley cosmetics, and this had developed into a veritable flood by the time Team Lotus changed its Gold Leaf livery to the black and gold of the John Player Special cigarette brand.